New format to easily cut into half-pages! 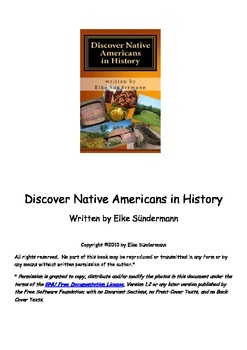 This informational text describes Native American history for the Navajo, Nez Perce, Lakota, Iroquois, Cherokee, and ancient mound building tribes. Full color photos and large font enhance reading enjoyment. Can be used as teacher resource, or in guided reading groups, or cooperative learning groups.